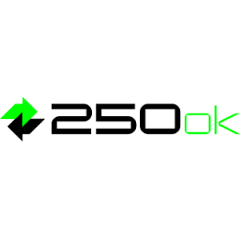 250ok is an email analytics innovator enabling enterprises to obtain better email deliverability, preserve their brand reputation, and boost customer engagement. The Indianapolis-based SaaS company is trusted by some of the world’s largest senders. Design Informant lets marketers preview emails in more than 30 email clients and devices in order to identify display issues. Design Informant is powered by the industry’s leading rendering providers – Litmus and Email on Acid – to stay ahead of the ever-changing email landscape. Email Informant embeds a simple tracking pixel into outbound emails, making it easy to measure whether each recipient fully read your entire email or simply skimmed it. Discover if your sending times are optimized around the peak hours of your recipients, which links or calls to action perform the best and more. Inbox Informant is email deliverability for legitimate senders. The platform's campaign diagnostics provide insight into authentication issues, deliverability trends, and ISP-specific feedback so that senders can identify problems. Its reporting engine provides total flexibility to build any number of custom reports and dashboards to track and measure inbox placement. Reputation Informant is a tool for email reputation management. Reputation Informant has the ability to identify trap hits by IP, domain, subject line, country, and more. The platform can identify sending practices that damage your reputation so that you can quickly identify issues, take corrective action, and keep your reputation intact. Reputation Informant analyzes billions of messages to provide unprecedented visibility into email-based brand abuse like phishing and spoofing.